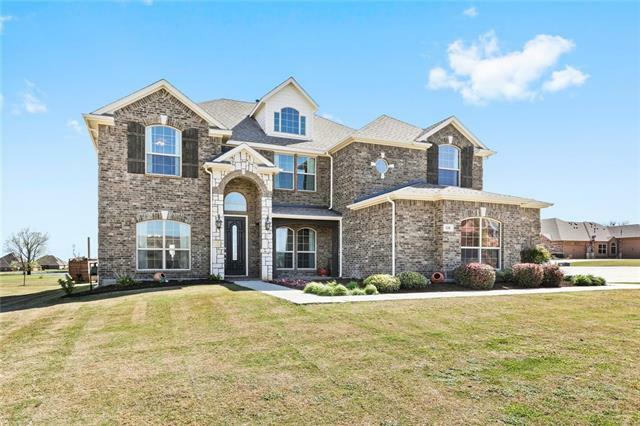 All Cross Roads homes currently listed for sale in Cross Roads as of 04/25/2019 are shown below. You can change the search criteria at any time by pressing the 'Change Search' button below. If you have any questions or you would like more information about any Cross Roads homes for sale or other Cross Roads real estate, please contact us and one of our knowledgeable Cross Roads REALTORS® would be pleased to assist you. 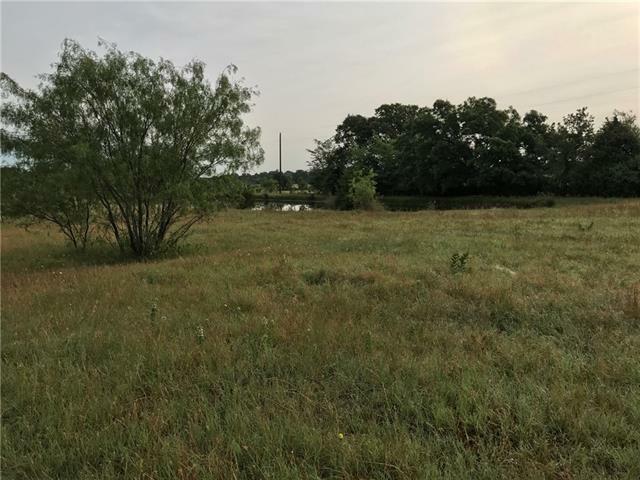 "20 Acres close to 380, Opportunity for a Sub-Division, Multi-Family, or Commercial Development with lake and pasture, double gate entry leads to inviting circular drive. Main house Louisiana style elegance opens to rustic flr plan w hand scraped wood, natural 2 stone FP & executive office w bookcases. Master down beautiful spa like bath & tub! 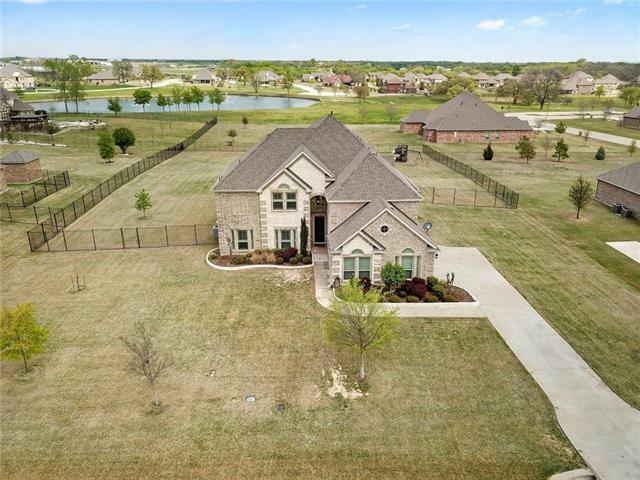 Special custom detail w ample storage & closets, all rooms offer views of TX countryside, sitting area on front & back porch plus pergola and a bar, 2 car"
"Sit back on the veranda w phantom screens while you watch the kids play on this PRIVATE 1.3 acre treed luxury lot backing to a pond. EXQUISITE custom built 1.5 story in gated community offers 6 BRs, w 5BRs on the main level, 5.1 baths w 3 living areas that includes a mother-in-law suite. The 6 th BR up w 7.1 surround wiring can be converted to a media room. 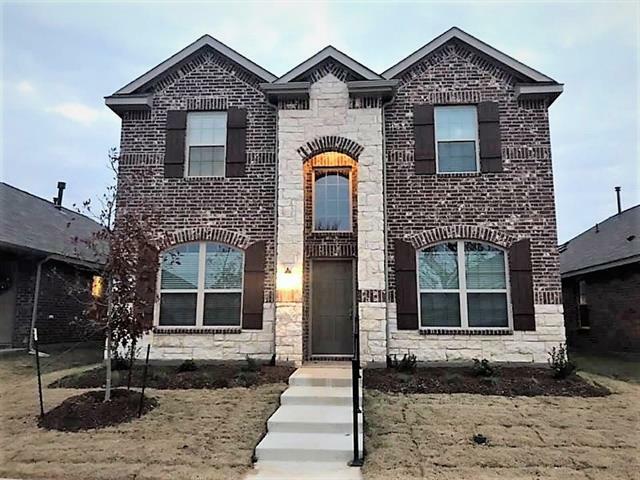 Chef kitchen w Meile appliances w steam oven, massive granite island, copper sink, & vaulted ceiling w exposed cedar trusses opens to the sp"
"Being a former model home, this house has everything you can imagine! 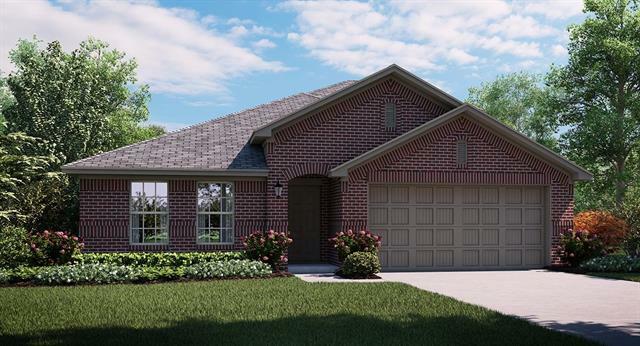 You will experience an open concept plan with a beautiful kitchen that has its own water heater, large family room with gas fireplace, & surround sound on the bottom floor, plus the backyard. The master bedroom is extremely spacious with a sitting area & views to your extravagant backyard pool & spa. 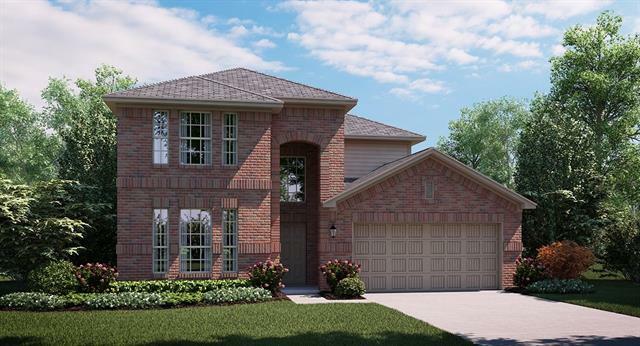 With 5 or 6 bedrooms and 4 full bathrooms, your large family will be quite comfortable. 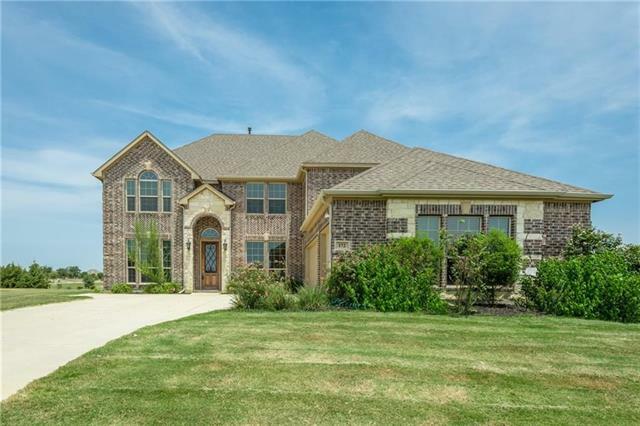 So will your dogs as there is a large fe"
"This hard to find beautiful CUSTOM European Tudor Styled home is nestled in a Cul-De-Sac and sits on almost 2 acres. ALL the bedrooms are down with a gameroom up for fun! Features include high ceilings,solid 8 ft wooden doors,gazebo ceiling in breakfast rm & polywood shutters.The stunning gourmet kitchen offers SS commercial grade appliances,huge island,over sized sink & gorgeous cabinetry. The expansive windows across the back of the house allow for fabulous views of the backyard paradise whi"
"Luxurious dream home positioned on 1 acre in the serene and gated Villages at Crossroads. Warm elegance and custom designs are sure to impress with 20 ft ceilings, extensive hand scraped hardwoods and plantation shutters on every window. No expense was spared with over 10k spent in Restoration Hardware light fixtures. A fully equipped kitchen features all of the must-have s any chef would love. A romantic owner s retreat offers a custom WIC and spa en suite. There s ample space for enterta"
"Prestigious gated neighborhood with 1 acres lots. 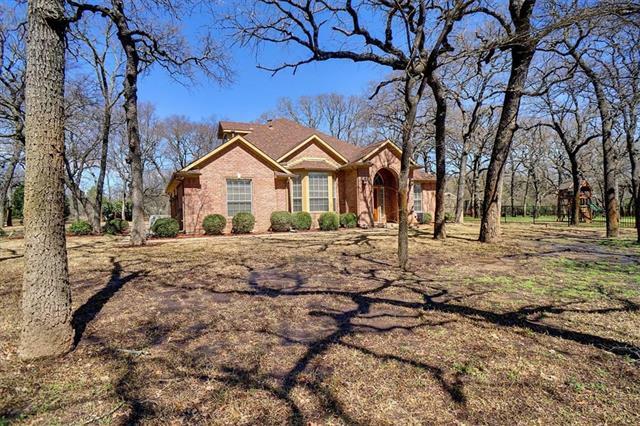 Premier corner lot secluded towards the back with pond with fountain and park views. Grand entry with a wrought iron spindle staircase, soaring 20 foot ceilings & rich wood floors. Some of the luxurious upgrades include: study off the entry with adjacent half bath, espresso color cabinets, granite cntrs, SS Apps, full double oven, large island, open split bedroom floor plan, lots of natural light, tankless water heater, epoxy floors in the garage"
"This perfect family home sits on the best acre lot in this pristine gated community. 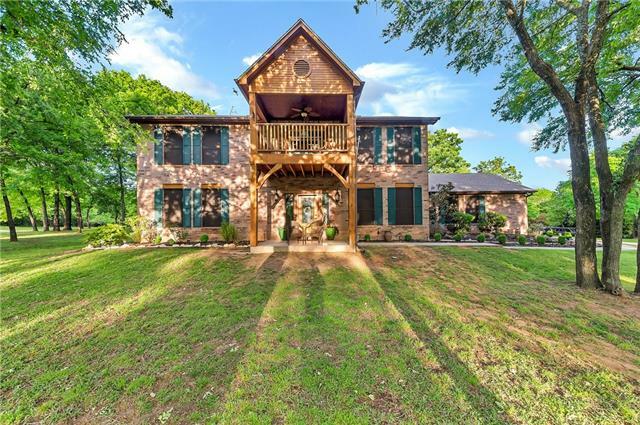 Hardwoods lead to two living areas, a private office, formal dining, half bath with shower, and a private master suite with the perfect water view! Granite, double ovens, gourmet gas stove, large island and walk-in pantry perfect the kitchen. Upstairs, a game-room & media room become your dream spaces along with 4 spacious bedrooms and two baths. New carpet and exterior paint reflect the PRIDE of OWNERSHIP in th"
"Feel like you live in the country with all the close amenities of the city. Hard to find small acreage near 380. 2 bedroom 1 bath home with 6.9159 acres. Easy and close access to 380 developments. New development announced at the corner of Potter Shop and 380. The home is currently being leased and advanced notice is required for showing." "Fabulous family home in gated community close to schools and shopping. This residence has 6 bedrooms, 4 on the second level with Master bedroom and Mother-in-law suite on main. Owner's study with glass French doors and formal dining room as you enter the residence. Main living room with vaulted ceiling and stone fireplace. Chef's kitchen open to main living room with large prep island and breakfast bar with granite countertops. Upgraded appliances include gas cooktop and double ovens. Butler's p"
"Exceptional custom home situated on a prime 1 acre lot in the prestigious lakeside Oak Shores neighborhood! Enter into a beautifully updated home with designer touches throughout. 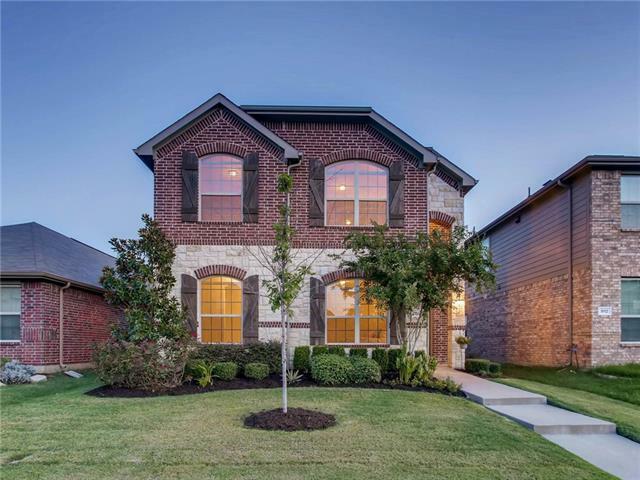 Home features hardwood floors upstairs and downstairs, kitchen includes custom cabinetry, ss appliances, double ovens and granite countertops. Gorgeous remodeled master bath features lighted mirrors, luxurious tub, shower sprays and a walk in closet with adjacent bonus room. 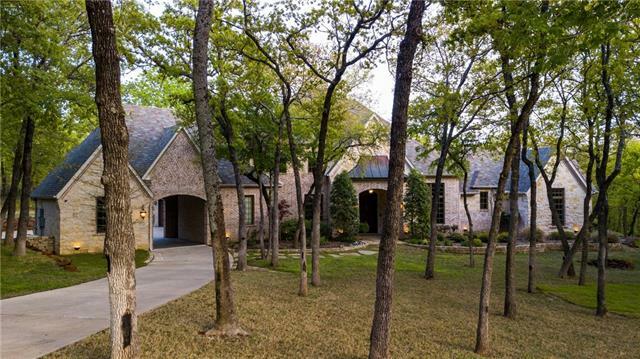 The second master upstairs also includes an "
"Custom home on 1 acre w mature trees, NO CITY PROPERTY TAX. Immaculately updated;kitchen GE appliances, oven, microwave, dishwasher w steam,disposal,water heater, 2 gas log starters,stain resistant carpet w 8lb padding, tile floors w stain resistant grout, brushed nickel door fixtures & hinges, garage door opener, light dimmers, LED lights, blinds package, roof replaced in 2014, house painted throughout, pre-wired for projector w surge protection,4 POLK 8in surround sound speakers w adjustable "
"Located in Little Elm, TX, Hillstone Pointe continues Lennar's concept of Everything's Included . This community offers everything you could want in amenities, location, and and an array of beautiful Energy Star Certified homes here in Hillstone Pointe. Hillstone Pointe offers the Springwood and Jewel Collection which are designed to reflect families and their lifestyles. MOVE-IN READY!!" "Beautifully maintained large family home. This home features 4 bedrooms 2 on the main floor, 3 large living areas, 2 dining rooms and much more. Grand entrance welcomes you in, a Chef's delight kitchen complete with custom back splash, granite counters, stainless steel appliances, custom painted cabinets, island and breakfast bar. Master suite features dual sinks,garden tub,separate shower and walk in closet. Upstairs you will find game room, media room 2 bedrooms and a full bath. Huge backyar"
"Easy and close access to 380 developments. New development announced at the corner of Potter Shop and 380. Very hard to find small acreage near 380. 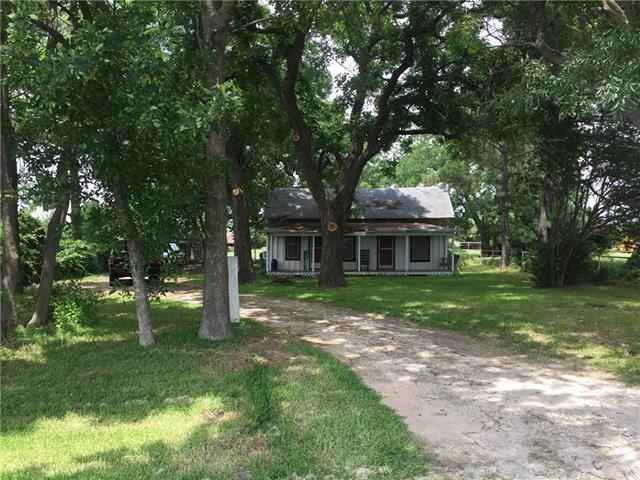 5+ acres with frontage to tipps. The house is an old farm house that needs lots of work and will be a total remodel. Great home site! Live like your in the country minutes from city amenities. Owner is Realtors Father in law. Extra 1.817 acres available on neighboring property for $123,000. 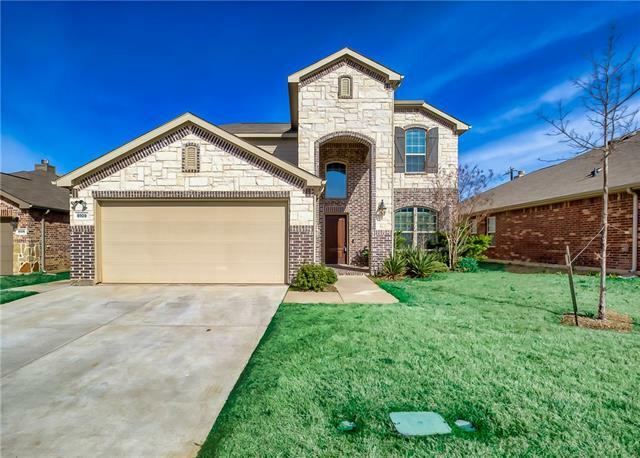 (separate seller)"
"Gorgeous 3 bed 2.5 bath 2 story home located in the much desired Cross Oak Ranch community including media, gameroom & covered patio with ceiling fan. Open office with accent brick wall. Greenbelt directly behind home. 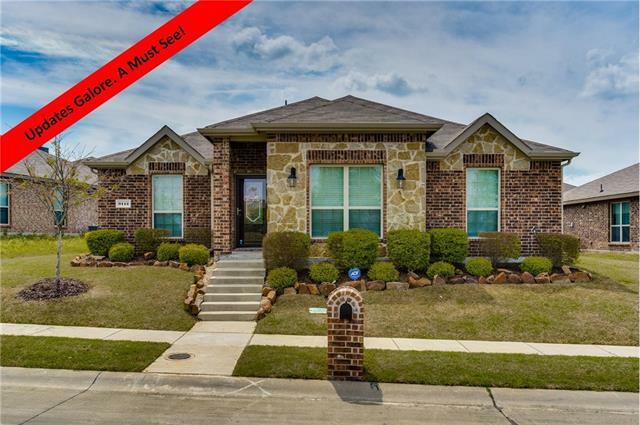 Quick access to US 380 and just minutes from Lake Lewisville.Call me today!" "Why wait for new? This home was completed in November 2018 and has been gently used. 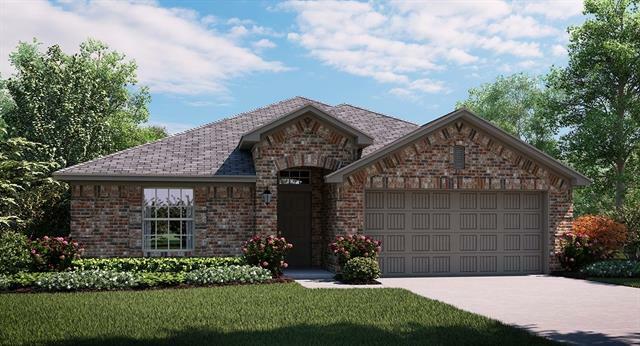 It is a Lenna, Diamond Floor Plan with 3 full baths. Upgrades from the base model include: Fireplace, Tile Flooring in the main living space and Stonework on the fa ade. The home has a Ring doorbell and Lennar's Smarthome, Home Automation Wireless Access Point. Lennar states that Hillstone Pointe will offer a pool with splash pad and a playground with Phase 2." "Beautifully updated home with tons of space on a cul-de-sac lot! 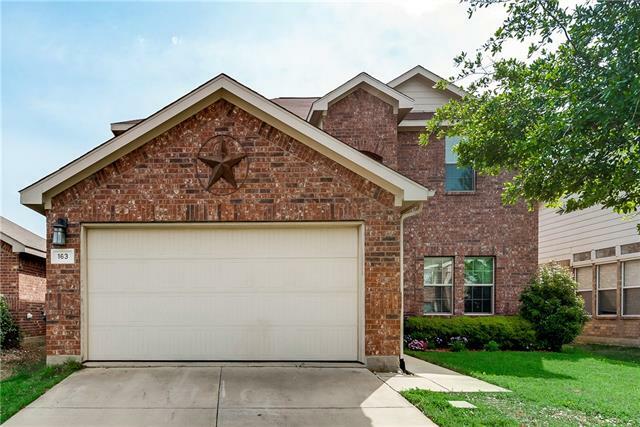 4 bedrooms and 2.1 baths featuring ceramic tile and laminate wood flooring throughout the downstairs, formal dining or personal office, decorative lighting, granite and SS appliances in the kitchen with new dishwasher, and fresh paint throughout makes this home light and bright! Spacious master suite down with dual sinks, garden tub, large shower, and upgraded tile. 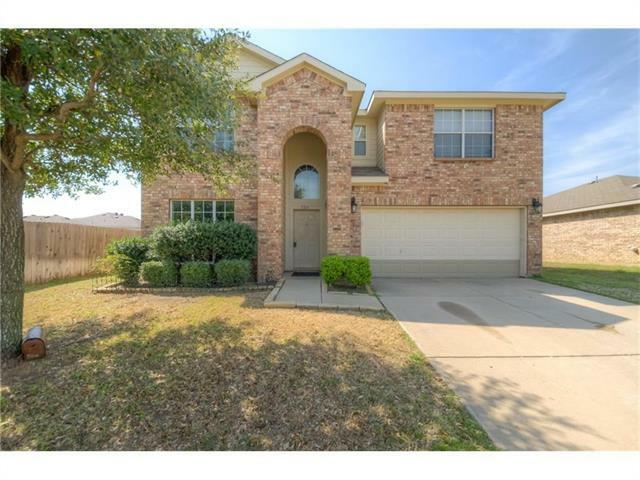 Upstairs is a massive game room with built in cabinets, 3 more ove"
"Check out the house with 5 bedrooms and 2.5 Baths, with open Floor plan in desirable Cross Oaks Ranch. The eat in kitchen has plenty of cabinet space with electric cooking, with a formal dining area. Family room is off of kitchen with fireplace. Master bedroom is upstairs. This home has a covered backyard patio that looks over to a backyard that is big enough for a pool! Wait! There is more! 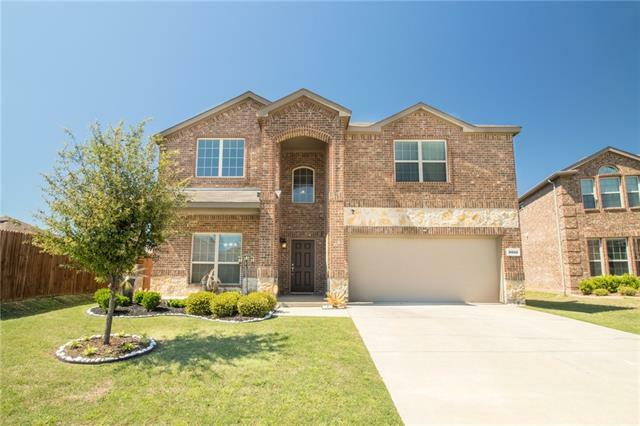 With HOA has a community pool, events, private lake, club house, private lake, jogging & bike paths and p"
"Living is easy in this immaculate and well maintained home. Walk into a lovely entryway adorned with a gorgeous light fixture that leads to the family room featuring vaulted ceilings and a cozy fireplace. The opulent master bedroom is located on the first floor. Enjoy cooking in the sleek and stylish kitchen that flows to the breakfast room. Two bedrooms, a loft, and a bathroom are on the second floor. The covered patio that overlooks the backyard completes this amazing house. In addition"
"Like new & pristine. Spacious kitchen has granite counter tops, stainless appliances, tile backsplash & center island. Large formal dining room can be office or playroom. Backyard oasis with huge cover patio, tile floor & sunshade to enjoy all year long. Finished out garage has awesome epoxy floor & added storage. Oversize living room has WBFP & wired for surround sound. Updated double pane low E windows in bedooms. Sprinklers front & back. 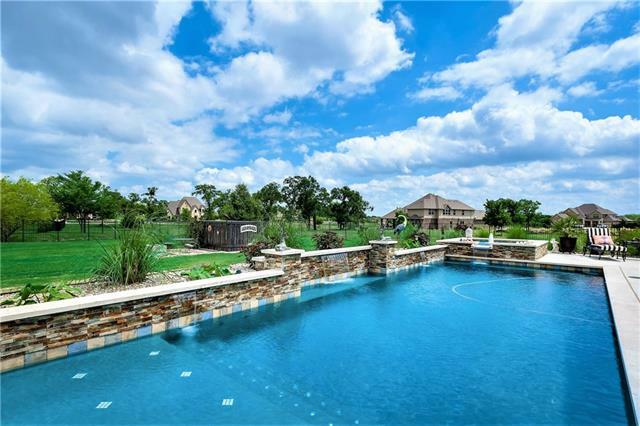 Home is located 5 homes from 1 of 2 community pools. Ac"
"NEW LENNAR 3 bedroom 2 bath with covered patio. 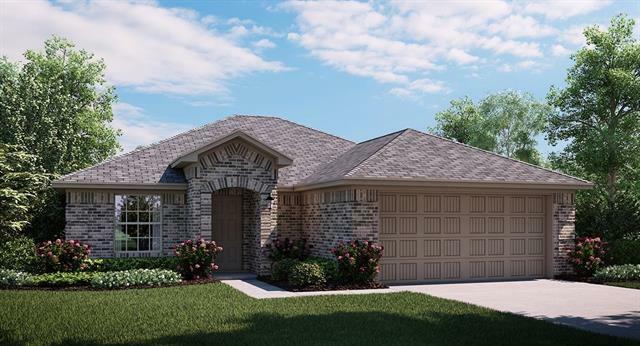 Located in Cross Roads, TX, Hillstone Pointe continues LENNAR's concept of Everything's Included . This community offers everything you could want in amenities, location, and and an array of beautiful Energy Star Certified homes here in Hillstone Pointe. Hillstone Pointe offers the Springwood and Jewel Collection which are designed to reflect families and their lifestyles. MOVE-IN READY!!"